Old age can cause many dental issues including dry mouth, gum disease, tooth loss, and weakened teeth. Therefore, it is important for your senior loved ones to remain up to date on dental care and maintain oral hygiene. Here are a few ways that The Grand Strand, SC, home care providers can help seniors keep their teeth, gums, and mouth in the best health possible. It can be difficult for seniors to have good oral hygiene because they might forget to brush and floss on a regular basis. The difficulty could be attributed to physical problems such as Parkinson’s or arthritis, which can make it hard to wield a toothbrush and floss. Therefore, seniors may need help from a family caregiver to keep their mouth clean. For maximum cleanliness, the American Dental Association recommends that people of all ages brush twice a day for a two-minute time period with a toothpaste that contains fluoride. It is also important to use an antibacterial mouthwash and a dental floss once a day. This will help clean any tiny crevices that were missed during brushing. Some seniors have dentures to replace missing teeth. Keeping their dentures clean will prevent bacteria from flourishing within the mouth causing bad breath and illness. After each meal, dentures should be rinsed off. Just like teeth, they need to be brushed twice a day. However, seniors should use a special denture cleaning paste instead of toothpaste, which might abrade dentures. At night, dentures should be soaked in a denture solution. 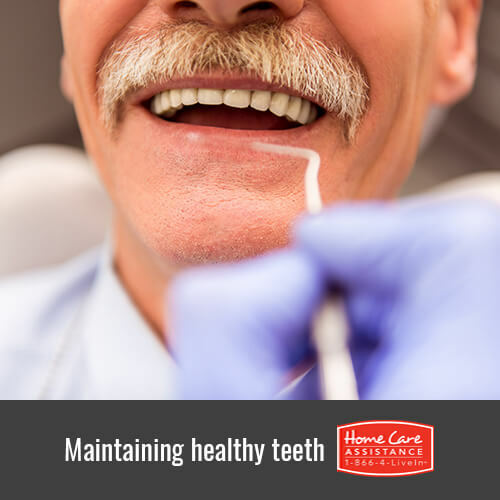 Most seniors with good oral health should go to the dentist every six months for routine cleaning and a checkup. However, seniors with gum disease or other issues may need to see the dentist more regularly. Even if a senior thinks his or her mouth is clean, dentist visits are very important because a dentist or oral hygienist can notice any issues and recommend treatment before the oral problems become problematic. Oral health and hygiene is an important daily task that seniors can’t always accomplish on their own. To help your loved one maintain proper dental care, turn to Home Care Assistance of The Grand Strand. Our highly trained caregivers will help with all of your loved ones personal care needs, including grooming, bathing, dressing, and oral care. We even provide live-in and hourly services for seniors including Alzheimer’s, dementia, and The Grand Strand, SC, stroke care. 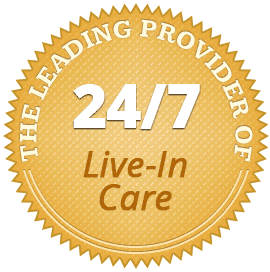 Call us at (843) 353-3105 today to schedule a free consultation and meet with a trusted in-home caregiver. Should Seniors Switch to Stevia?